The tank was developed specifically to deal with the problems of trench warfare (see Report #37), and while it did have some impact, at least on the Allied side, its real strategic value would not be demonstrated until the next war. Better design and more powerful and reliable engines would allow the tank to come of age, and the Germans (ironically, given their lack of interest during the Great War) would perfect its use in mass formations as an offensive spearhead. One of the elements in this new armored warfare would be close coordination between the tank and a weapon that did come of age, at least tactically, during the Great War: the airplane. 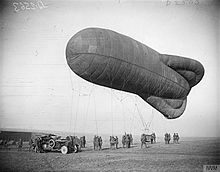 This new heavier-than-air flying technology was still relatively primitive when the war began, and at first it was used as balloons had been for a half century, for observation of the enemy. Especially important was photographic reconnaissance and spotting for the artillery (though proper coordination took some time to be worked out), and the airplane provided a much more flexible platform than a tethered balloon. And this was certainly a much more pleasant activity than living in a trench and going over the top. But this was after all a war and the fliers were combatants, and almost immediately they began to greet one another with more than friendly waves. Observers started carrying pistols and grenades, but hitting, let alone seriously damaging, another aircraft with such weapons was all but impossible. 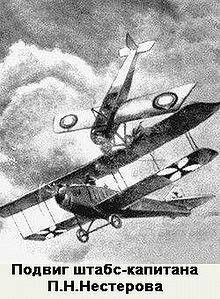 In fact the first airplane brought down was by being rammed: on 8 September 1914 an Austrian plane was rammed by Pyotr Nesterov over Galicia, killing himself and the enemy fliers. 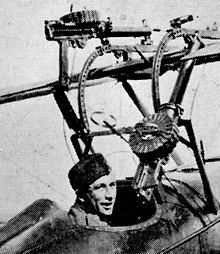 Frustrated, a French flier, Louis Quénault, equipped himself with a Hotchkiss M1901 light machine gun and on 5 October 1914 shot down a German plane (actually, with an incredibly lucky shot from a rifle after the machine gun’s ammunition was exhausted). Now the race was on to create a real fighter plane. The major problem was where to mount the gun. 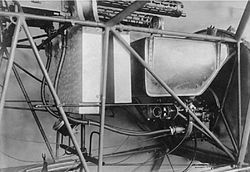 In two seater aircraft it was easy to mount a machine gun for the observer, but this only provided defensive fire and in any case lighter, faster single seat planes were the obvious candidates for an offensive aircraft. 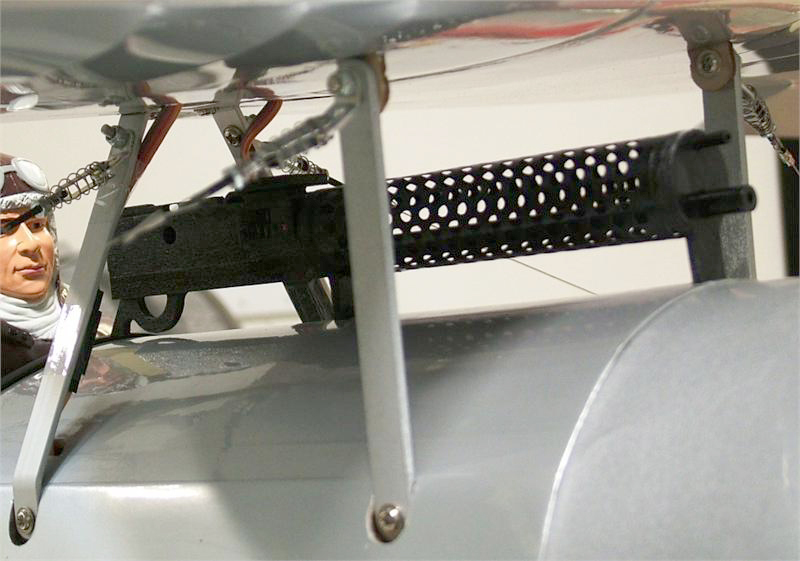 With only a single flier the gun had to be mounted where the pilot could easily clear jams (which happened frequently) and reload and use the plane itself to aim his fire. 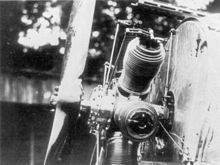 That required the gun to be placed immediately in front of the cockpit, which meant shooting through the arc of the propeller, a dangerous proposition. 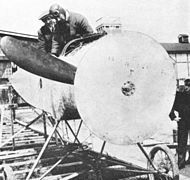 One way to avoid this was to put the engine with a “pusher” prop behind the pilot, but it was already known that in terms of performance this arrangement was far less effective than a front mounted “tractor” propeller. 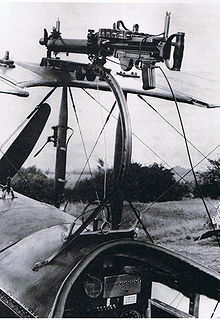 Another approach, which was used initially by the British, was to mount the gun (usually a Lewis light machine gun) so that it fired above the propeller arc, which meant on the upper wind of a biplane or a special structure on a monoplane. The Foster mount allowed the gun to be moved down to the pilot for service (and to shoot upward), but the protruding gun and mount added considerable drag and stressed the wing, which in turn scattered the fired rounds with its vibrations. Clearly, the most effective place for the gun was immediately in front of the pilot, which left the problem of the propeller. The French came up with the “deflector” prop, which sported metal plates on the propeller blades where the bullets would strike, certainly a frightening solution. The deflected rounds were a significant threat to the pilot, and more dangerous, they placed a serious strain on the engine’s crankshaft as the propeller was repeatedly buffeted. 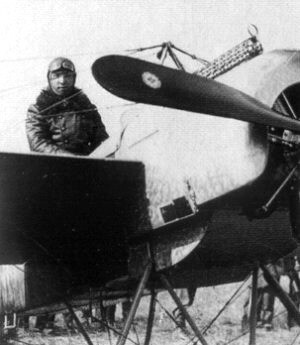 Nevertheless, from 1-18 April 1915 Roland Garros, flying a Morane-Saulnier L with a deflector prop, shot down three German planes, but on the 18th he was forced to land in enemy territory, perhaps because of engine problems caused by the pounding on the propeller. 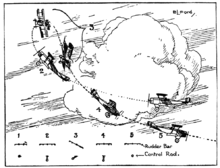 Anthony Fokker is rightly known for perfecting the synchronization mechanism, but work on this had been going on in a number of places, and Franz Schneider had in fact patented a device in July 1913 and Raymond Saulnier in 1914. The problem was that these early mechanisms were still crude, and the frequent – and often disastrous – failures hardly convinced inert and inherently conservative high commands to support the new technology. Garros’ prop and the planes he downed convinced the Germans. 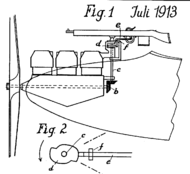 The basic idea was to connect the gun and the propeller such that the gun was fired only when the blade was out of the way or was prevented from firing when it was. 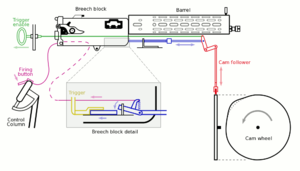 Generally this meant some sort of cam on the propeller or crank shaft that would push a rod enabling or disabling the gun at the proper moment. 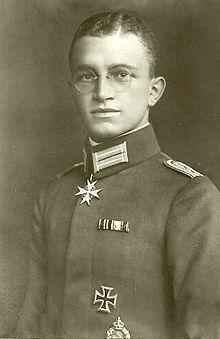 In a way this was easier for the Germans inasmuch as their machine guns – the Parabellum and the Spandau – had a closed bolt cycle, which could be precisely timed, whereas the favored Allied gun, the Lewis, had an open bolt cycle (look it up), which could not (although the Vickers was a closed bolt). 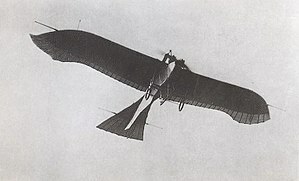 Fokker’s Stangensteuerung system, developed in the spring of 1915, followed Saulnier’s approach: it employed a cam and reciprocating rod connection that enabled the gun to fire at the proper time rather than interrupting it. 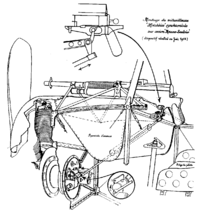 There were mechanical weaknesses, especially with the push rod, and the system could not be easily adapted to twin guns, and this led by late 1916 to the Zentralsteuerung, which eliminated the push rod altogether. 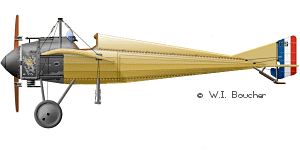 This improvement allowed for a twin gun configuration, vital in concentrating fire for the brief moments when shooting was possible (it is not that easy to shoot down a mechanically simple fabric covered aircraft), and was the system behind the later, more familiar aircraft like the Fokker D-VII. 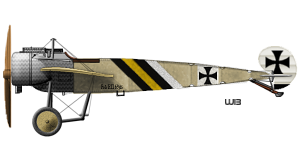 The other warring powers would develop synchronization systems, but the Germans beat them and in May 1915 created the first purpose-built warplane, the Fokker E.I, by adding a Parabellum MG 14 to a modified Fokker scout. 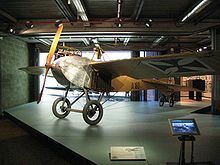 This monoplane (Eindecker) was flimsy and difficult to fly and the synchronization gear still prone to malfunction, but it was a real fighter and the Allies had none. 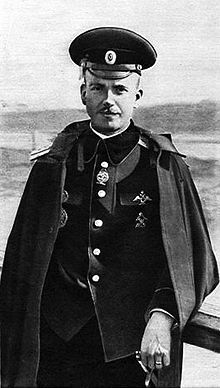 On 1 July Kurt Witgens brought down a Morane-Saulnier, becoming the first pilot to down an enemy plane with a synchronized gun. 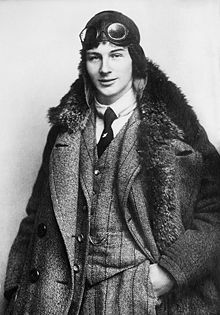 The “Fokker Scourge” had begun. 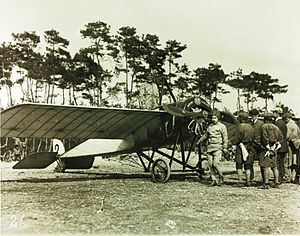 The Fokker Eindecker gave the Germans control of the air, and Allied observation craft were soon raining from the skies. 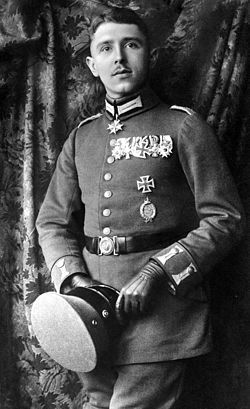 This period produced the first real fighter aces, like Oswald Boelcke and Max Immelmann, men who worked out the basic moves and tactics of this completely new form of warfare. 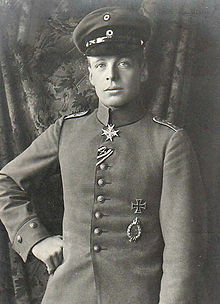 Boelcke, who taught the future ace, Manfred von Richthofen, produced a set of formal rules for air combat, the Dicta Boelcke, and Immelmann is known for the tactical maneuver called the Immelmann Turn. 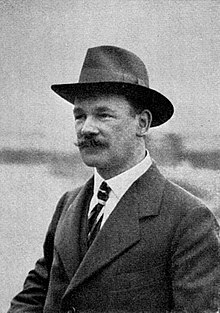 The Scourge would last until the beginning of 1916, when the Allies finally caught up in aircraft technology. 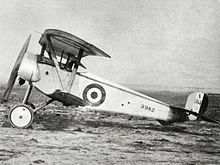 In January 1916 the French introduced the Nieuport 11, which still employed a wing-mounted Lewis gun with all its inherent difficulties, but the superior performance of the plane more than compensated. 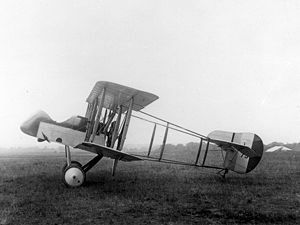 In February the British brought to France the Airco DH.2, a single-seat pusher fighter, which also easily outmatched the Fokker in performance. These aircraft were soon bringing the Fokkers down, emphasizing that the half year of German superiority was due entirely to the synchronized gun, allowing an otherwise weak aircraft to dominate the skies. The Allies would now rule the air until the Germans introduced their new generation of more powerful fighters in the fall.